Jugs, Azlon. Clear polypropylene. 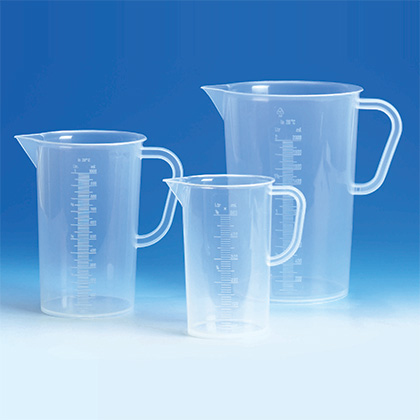 Tall form, beaker shape with handle. High clarity rigid polypropylene with blue printed graduations, non-slide anti-suction bases and precision pouring spouts. Autoclavable to 121°C.